After Vodafone-Idea merger, Bharti Airtel is now no longer the country's largest mobile phone company in terms of subscribers and revenue share. India's telecom sector has a new top cat after around 15 years: the Idea Cellular and Vodafone India combine. With the National Company Law Tribunal (NCLT) giving the green light to the merger of the two telecom companies yesterday - the largest in the sector - Bharti Airtel is now no longer the country's largest mobile phone company in terms of subscribers and revenue share. Earlier today, the Aditya Birla Group, of which Idea Cellular is a part, announced the completion of the merger. The new entity, Vodafone Idea Ltd, will kick off with 408 million active subscribers, a 32.2 per cent revenue market share (RMS), revenue of more than Rs 60,000 crore, a large spectrum portfolio of 1850 MHz and 15,000 branded stores. It also boasts the largest voice network with over 200,000 unique GSM sites to cover over 1.2 billion Indians or 92 per cent population coverage, and a growing broadband network with over 340,000 broadband sites covering 840 million Indians. The merger is expected to generate annual synergy to the tune of Rs 14,000 crore - including opex synergies of Rs 8,400 crore - equivalent to a net present value of approximately Rs 70,000 crore. 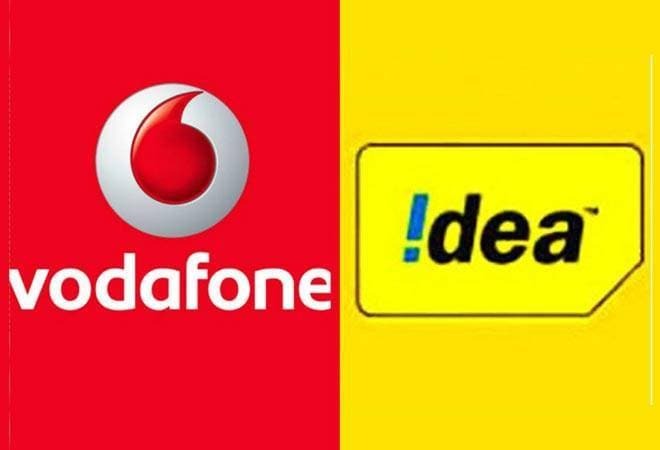 "We wish to inform you that pursuant to filing of the NCLT orders with the relevant Registrars of Companies on 31st August, 2018, the Scheme has become effective on even date and the merger of VMSL (Vodafone Mobile services Ltd) and VIL (Vodafone India Ltd) with the Company has been completed," Idea Cellular said in a regulatory filing today. Vodafone Idea Ltd's newly-constituted board of 12 directors, including six independent directors met this morning with Aditya Birla Group's Kumar Mangalam Birla as the chairman. The new company will be headed by Balesh Sharma, who was the Chief Operating Officer of Vodafone India. According to analysts, the new entity should clock as much as $10 billion in savings over time, making it a potent rival for Bharti Airtel and Jio. "The market and customers will now see how the new company deploys and catches up with its 4G rollout, in which it has been a laggard," ex-Bharti Airtel CEO Sanjay Kapoor told the daily. Having evolved into a three-player market, experts see the bleeding telecom sector -Reliance Jio's disruptive entry kicked-off two years of price wars that eroded profitability and forced consolidation in the space - now entering a stabilisation phase. "The revenue market shares of all the players will also evolve over FY19, in line with their share of 4G data subscribers (higher ARPU customers)," said India Ratings and Research (Ind-Ra), adding, "The second round of consolidation in the industry will be based on a transition from multiple to single SIM, and would be a key event to watch for, once the tariffs witness upward corrections." Indeed, pundits and industry stakeholders alike expect pricing power to gradually return to the sector over the next year or so - after all, Jio will look to monetize at some point. "Pricing should start lifting in the next 5-to-6 months with the emergence of a three-player market with equal strength," Bharti Airtel chief executive Gopal Vittal had said on an earnings call last month. Of course, that's assuming Jio's game plan does not envision a duopoly. Even if Jio does not intend to marginalise Vodafone Idea Ltd, the latter has a mammoth challenge ahead - rapidly building synergies and managing its liquidity situation while simultaneously making necessary investments in 4G to effectively compete with the other two incumbents. As Smartkarma Insight Provider New Street Research noted in a recent report, even with strong merger synergies the combined entity will need more capital - perhaps to the tune of $3 billion to get to March 2020 and $7 billion to March 2021. Nonetheless, investors are pretty optimistic. Reacting to the news of the NCLT's nod to the merger, Idea Cellular's stock zoomed up over 6% in morning trade today but has since come down slightly and is currently trading at Rs 50.20 apiece on the BSE.